Sometimes the insurance claims settlement process stalls. 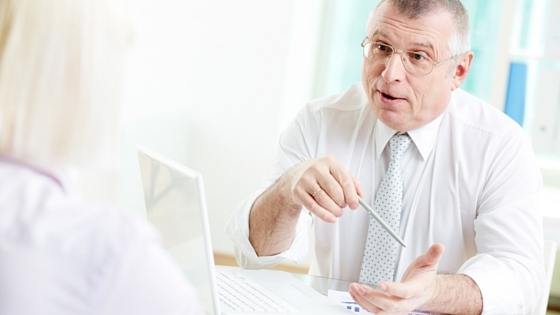 Here are three negotiation tips for adjusters from Allegis Transcription. As many adjusters already know, the insurance claims settlement process can sometimes be a difficult endeavor. It doesn’t matter if you typically handle first or third party claims; you’ll inevitably have to work with difficult parties and when this happens the whole settlement process can come to a screeching halt. Thankfully, there are a few things you can do to become a better negotiator. Next time you have a settlement stalled during negotiations, consider these three tips. The first step in working through any negotiation is to understand what each party sees as a desired outcome. For example, an insured may want the amount of money they feel their totaled vehicle is worth, but your estimates are much lower. Perhaps a claimant might think that the time and annoyance of being involved in a crash is worth a greater sum than you are offering. No matter what the situation entails, take the time to see things from their point of view. Write down your thoughts and brainstorm a few reasons as to why the other party feels the way they do. Try and be empathetic when dealing with all involved parties. From there, try and find an outcome that’s acceptable to the both of you. This doesn’t always have to be a compromise, but generally includes something solid that they will accept as a final agreement. You may even consider a few different options and have them choose. The next way you can help move the insurance claims settlement process forward is by looking for any weakness in the other side’s argument. Once you’ve determined what their desired outcome and minimally acceptable outcomes are, but they still won’t budge, look for things within the case file that are contradictory to their overall argument. Often, you can find this information within the files and information you already have, including any recorded statement transcription. You might discover a conflicting statement. Going through their consumer claims report can also supply valuable details. Sometimes though, it really does take some digging to find weaknesses. Don’t forget to check social media accounts. A claimant might be insisting they can’t go to work because of their injury. However, you happen to pull up their public social media account and find out they spent last weekend skydiving. This is a major weakness in their argument and could help speed up the insurance claims settlement process. Another way adjusters can make insurance claims settlement negotiation stalls move is by tackling the most important things first. Many adjusters make their biggest mistake in this process by thinking they can start with the insignificant details first and ramp up to the larger stuff. This is a problem because—if there is going to be an issue in settlement— it gets everyone worked up over the minor things before getting to the items that both sides really care about. Instead, decide whether you and the other party are in agreement for some of the larger items, such as a substantial medical payment or property damage bill. From there, let the other side know that you at least agree on the larger stuff and leverage that as a way to encourage settlement on the smaller items. What if you’ve done the three above mentioned steps, but still can’t come to an agreement? It’s important to remember that sometimes a claim settlement just won’t happen due to a variety of different reasons. This is totally normal, and a big reason behind why there is an arbitration process. Keep working at it and if you can’t come to an agreement with the other party, follow the guidelines your department typically advises for stalled files.